Registration for the 2019 Leadership Development Institute is now open. 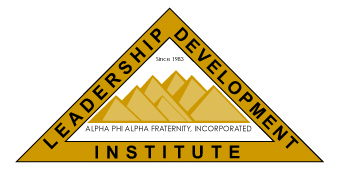 The 2019 Leadership Development Institute (LDI) is for High School (9th – 12th grade) students who have demonstrated academic promise and leadership potential, and who are from any of the public/private schools within the Southern Region of Alpha Phi Alpha Fraternity, Incorporated. The LDI Conference is scheduled for June 26 – 30, 2019 on the campus of Alcorn State University. The cost of the conference is $250 student and $250/chaperone. The Registration Deadline is May 31, 2019 and there will be no onsite registration. We are requesting that all alumni chapters in the Southern Region send at least 2 students to the LDI Conference. Also, Brothers please disseminate the LDI Conference information to the High School and students in your community. Brothers if you do not adhere to the two points above your young people will be sent home at the chapters expense and the students registration fee will be forfeited. In addition, if your chapter registers a young person and the student is unable to attend, we will allow you to send a student in their place. Registrations are not refundable and will not be held for future LDI’s. The Southern Region has minimums in the agreements with the universities we work with and we order materials and t-shirts based on paid registrations. We are required to pay vendors based on guaranteed participants. We will take all necessary steps to ensure the safety on security of the young people in our care.